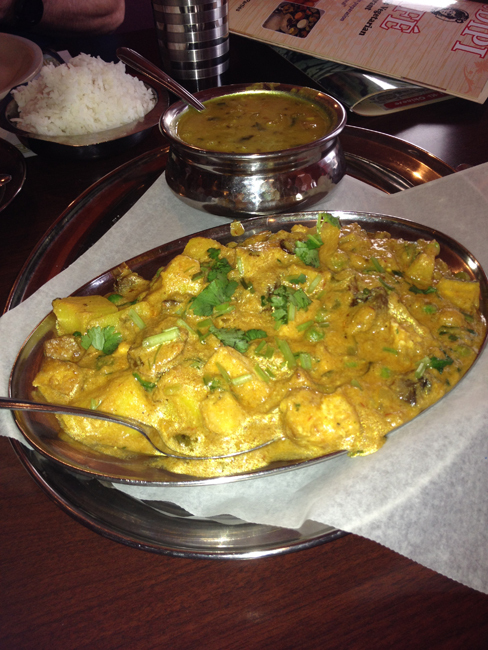 Udipi Café Indian Vegetarian Restaurant of Sunrise, FL Offers Certified Kosher Fare! 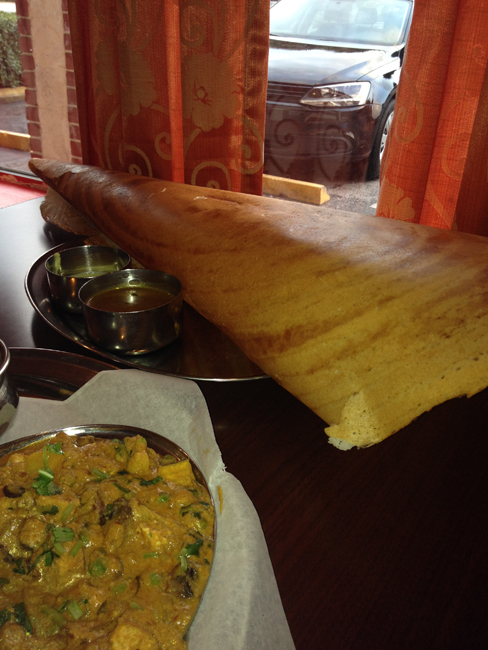 If you are lucky enough to find yourself in South Florida this time of year then you must not miss out on Udipi Café where, upon first bite, you are transported to the Southern region of India known for exotic vegetarian cuisine. Udipi Café is located 11 minutes northwest of Fort Lauderdale via I-95 and Hwy 518 or just 8 minutes south of Coral Springs via University Drive. 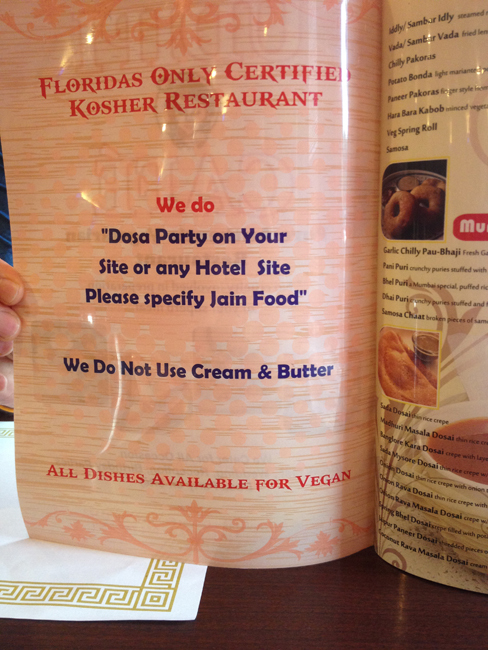 It is the only certified Kosher Indian restaurant in Florida and just about everything can be made vegan! For my running partner and I, we often delight in such spicy Indian fare as a reward for enduring our scheduled long runs in the grueling heat. More heat, you ask? 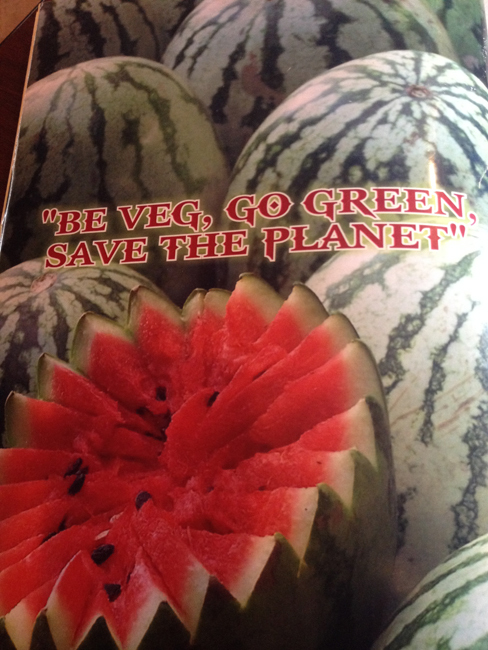 Why of course, it’s what we crave!!! The hotter the better! We sweat when we train and likewise there’s nothing like breaking out in a cold sweat and grabbing your jacket during a meal! For those spices contain anti-inflammatory properties not to mention they taste so darn good!!! If you don’t fancy your meals burning hot, chef/owner Santhosh Shetty is more than happy to accommodate your preferences without compromising flavor. 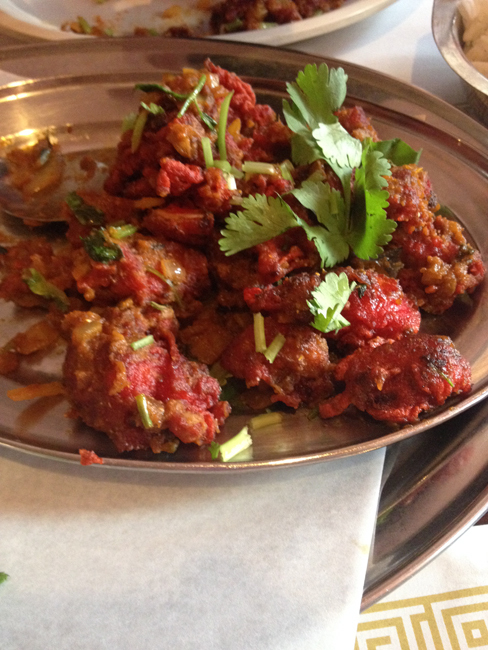 Mr. Shetty was happy to start our dinner off with his famous Chinese style Manchurian Cauliflower ($10.95)! While it isn’t exactly low calorie, if you work out like we do, we would rather indulge in this rich starter than any ordinary fried finger food. Or dessert, for that matter! An absolute must for us for every Indian meal is Dosai. At Udipi, the delicate rice crepe the size of a cornucopia, filled with potatoes, onions and an array of spices known as Madhuri Masala Dosai ($7.50) never disappoints. It is very light, airy and savory, like an elevated version of the classic deli-style potato knish! We always say we will never finish it but not even a crumb can ever be found. Our meals included Yellow Dal ($9.95), made up of protein-rich lentils (to heal those tired muscles) with a savory stew-like consistency, along with Diwani Handi (Tawa Ghotala) ($11.95) made up of fresh, juicy (and healthy) mushroom shreds combined with mixed veggies and Indian spices…so creamy without the cream! How do they do that? Each entrée is accompanied by fragrant white basmati rice for a hearty meal but should you feel guilty about white carbs after the cauliflower and the dosai, the dishes hold up on their own. 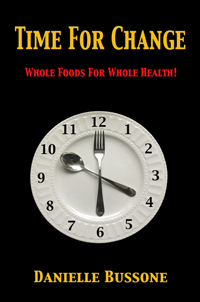 Of course, if your plan is to run or work out even harder the next day, then by all means, load up on those carbs! It might just be what you need as a binder to offset the potential for a little delayed gastro action! Dessert is not really our style with our overabundance of saltier taste buds (lost from sweat) so as a rule, we avoid the sweets. 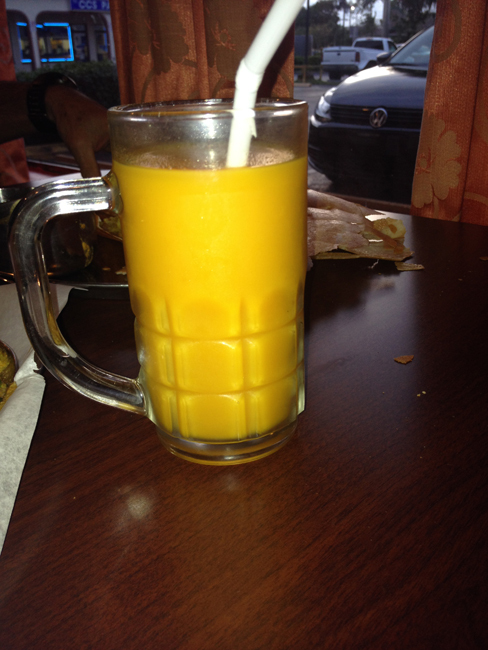 However, Mr. Shetty delighted us with his mango puree smoothies (Mango Lassi $3.50) to accompany our meal. I believe they contain yogurt. My running partner isn’t vegan and was happy to drink both as he knows I prefer to eat, rather than drink my calories anyway! Offering authentic Indian cuisine in the same location for 11 years, Udipi Café is here to stay!